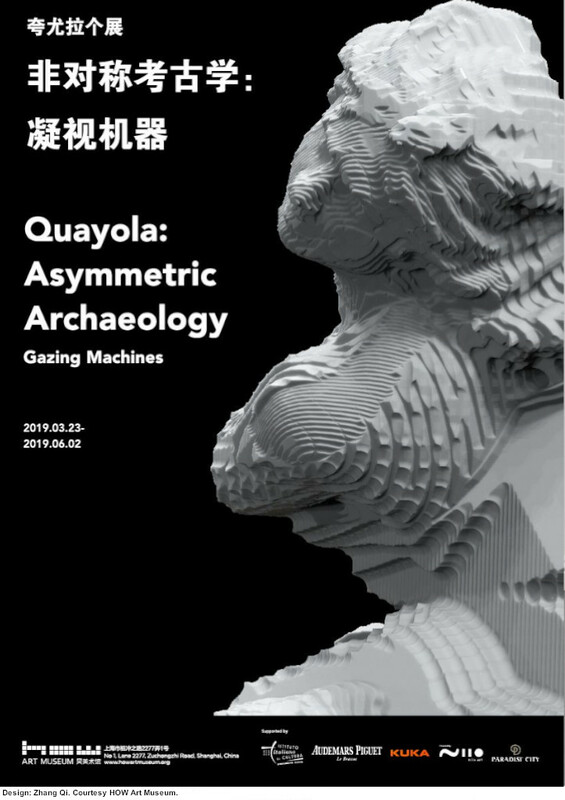 HOW Art Museum (Shanghai) has announced a large-scale solo exhibition of the London-based Italian artist Quayola, titled Quayola: Asymmetric Archaeology – Gazing Machines, which reimagines the past and rediscovers nature through the perspective of the machine. 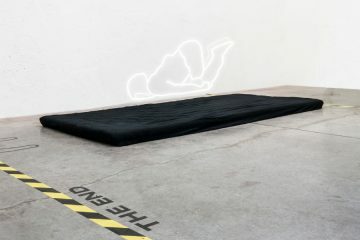 Through the works in the exhibition, the past is revisited in relationship to the present and the future, exploring an asymmetry that excludes the subjective view of the human and instead brings to the fore machine-processed objective ideas. Through these processes, classical art forms such as Hellenistic sculptures, Old Master paintings, and Baroque architecture are detached from iconographical semantics of the past to be regenerated into digital abstract works. 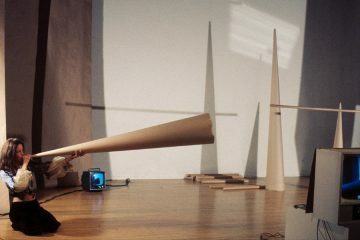 In addition, familiar visual tropes of nature are transformed into a new artificial landscape engendered by machinery. 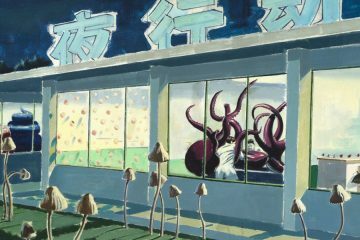 The artist’s first large-scale solo exhibition in China consists of eight sections featuring artworks in a range of different media, including over 50 pieces of digital print, video, sculpture, and robotic installation. 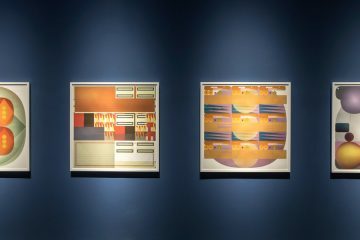 The expansive breadth of the exhibit presents major works by Quayola not only within the interior gallery space of HOW Art Museum, but also extends across the building’s media facades. 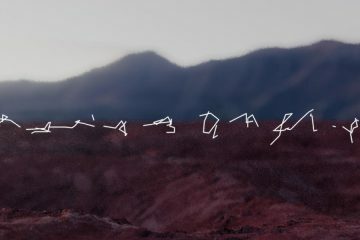 Strata, Iconographies, Sculpture Factory and Laocoön are four projects that analyze classical paintings, sculptures, and architecture using complex computer algorithms, recreating contemporary abstract works by severing religious and mythical scenes from their past contexts. Sculpture Factory is inspired by the “non-finito” technique of Michelangelo whereby unworked sections of the sculpture block mean that pieces appear unfinished. 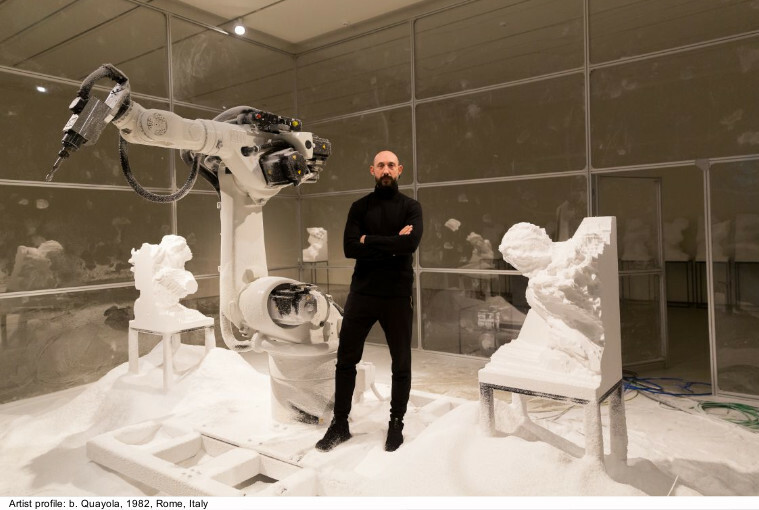 Into this scenario, the artist introduces a new performance undertaken by a large-scale robot, which sculpts infinite variations of Pluto and Proserpina, a Baroque masterpiece produced by Giovanni Lorenzo Bernini in the 17th century. Laocoön, meanwhile, draws inspiration from one of the most studied Ancient Greek sculptural masterpieces, Laocoön and His Sons. Quayola’s work is the result of complex digital simulations and experiments with virtual/physical prototyping technologies. Remains, Promenade, Jardins d’Été and Camouflage represent ongoing projects that reexamine the familiar visual language of nature associated with traditional compositions of landscape paintings. 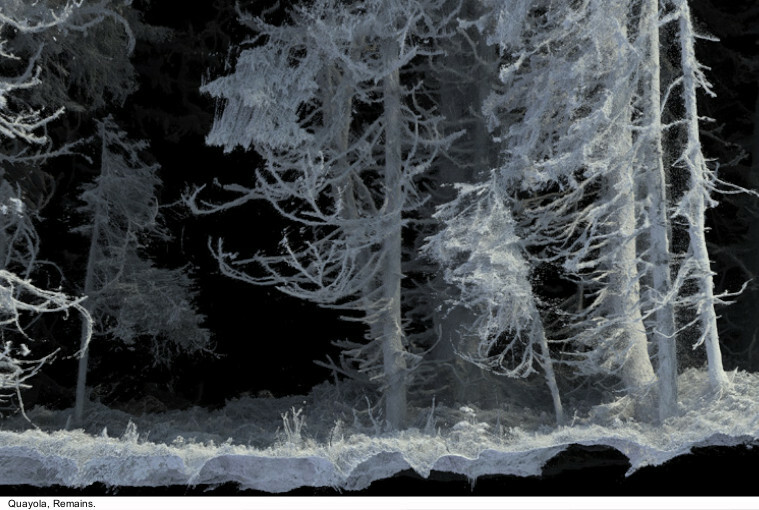 Through intricate digital rendering processes, new digital landscapes emerge from actual natural scenes that are captured in high resolution using high-precision laser scanners and cameras. Diverse motifs come in to play for each work by recreating a new visual literacy; Remains observes the popular practice of en plein air (outdoor painting) of the late 19th century; Promenade explores the new aesthetics of contemporary autonomous vehicles and machine vision using a drone; and Jardins d’Été and Camouflage evoke imagery from the French impressionism of Claude Monet. Ultimately, the works become hybrid landscapes—neither real nor virtual—transcending the boundaries of the figurative and abstract domains. Through the peculiar mechanisms of machinery and the complex algorithms of Quayola, our human banalities become freely detached from their original contexts to become new objects of contemplation.The exhibition has received support from the Italian Cultural Institute in Shanghai, Audemars Piguet, Kuka, Niio and Paradise City. HOW Art Museum was founded by the Chinese collector Mr. Zheng Hao, and Mr. Yun Cheagab has served as director since 2012. 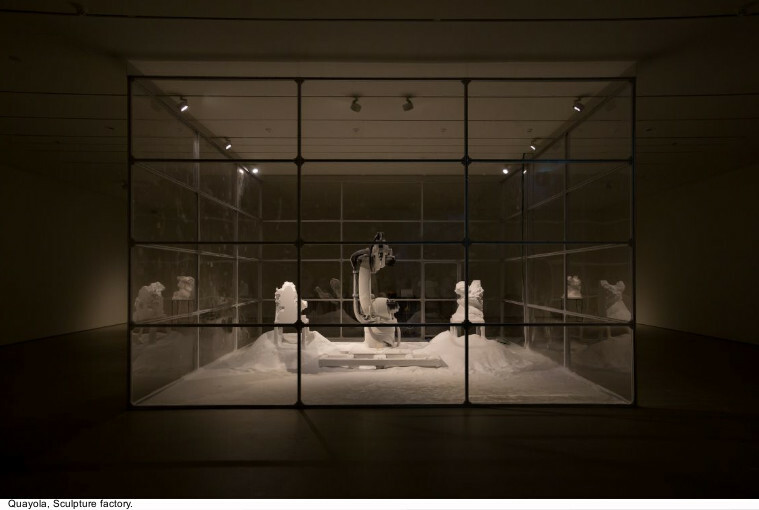 It consists of two museums, HOW Art Museum (Shanghai) and HOW Art Museum (Wenzhou). The latter opened in 2013, and has held nearly 20 contemporary art exhibitions. HOW Art Museum (Shanghai), located in Pudong New District, opened to the public in September 2017. It pioneers to create a new model of operating a “Night Art Museum” for the convenience of the public, opening from 1 to 10pm regularly, and 10am to 10pm on the weekends and holidays. Meanwhile, HOW Art Museum also carries out international exchange programs such as HOW International Curatorial Residency Program, so as to establish a brand-new art complex and cultural landmark in Shanghai.